Whoever decided that pumpkin spice food is just for autumn got it wrong. 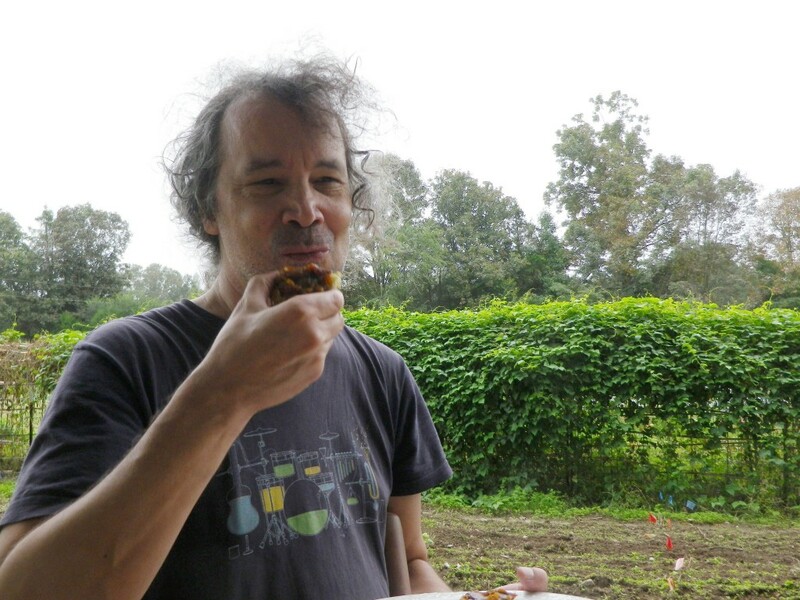 Now is when I scrambling to pack all the winter squash and pumpkins we put up this summer into our meals. 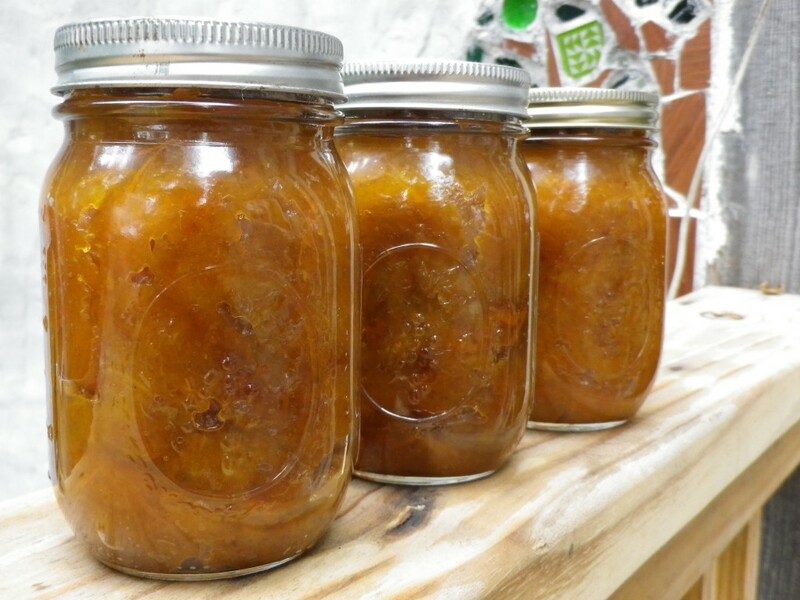 Before long it will be spring and as much as I love the stuff I don’t want the house to still be overflowing with winter squash. Come spring I’ll be ready for greens, snap peas, and rhubarb! So for now it’s pumpkin spice, tasy, warm, filling and sweet. 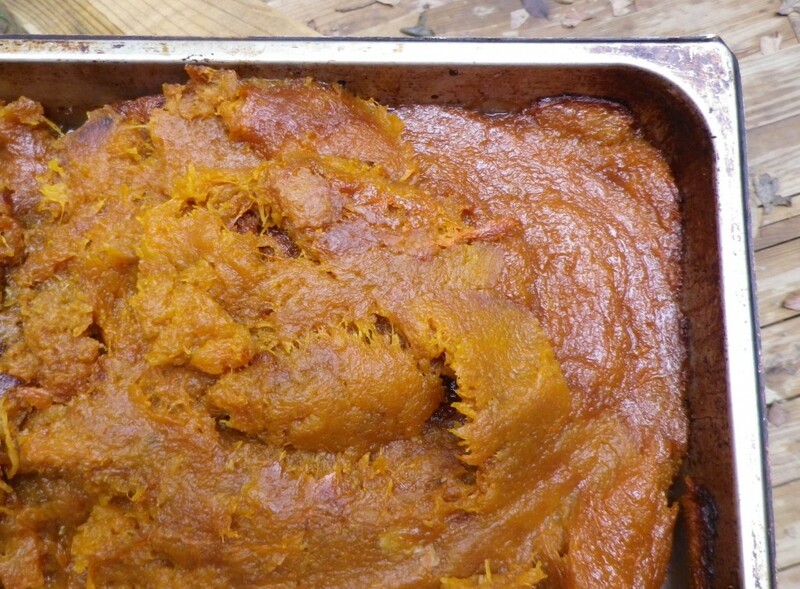 Any local foodie will tell you pumpkin puree doesn’t come in a can! 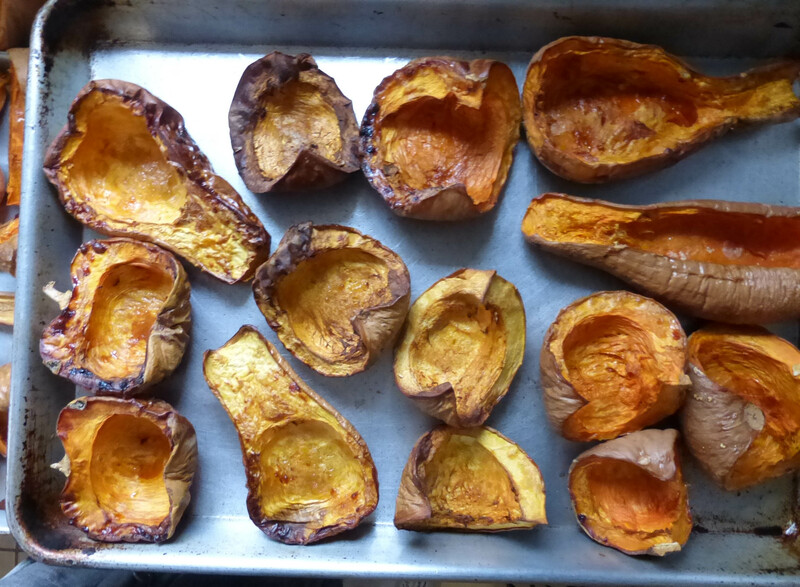 It’s actually super easy to make and nearly any winter squash or pumpkin will do. If you’ve got a Waltham Butternut or Table Queen on hand there’s no need to go search the farmers market for a pie pumpkin. 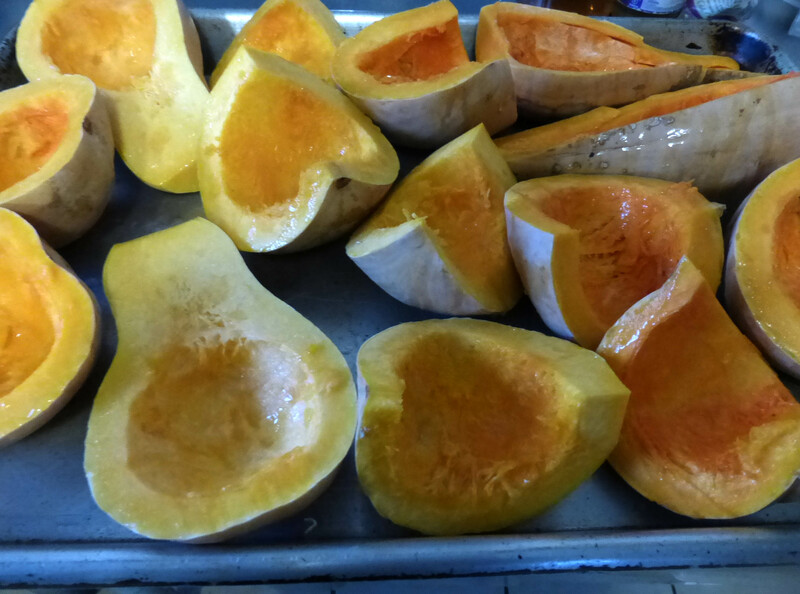 Split your squash or pumpkin in half and scoop out all the seeds. Place the pumpkin opening down in a shallow baking pan with about 1 inch of water. This will keep it from drying out. 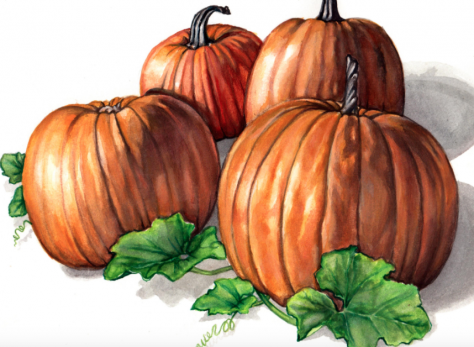 Bake at 350°F for 30 minutes to 2 hours or until tender depending on the size of your pumpkin. *Optional: clean the seeds and bake in a single layer on a cookie sheet with a little vegetable oil and salt while your pumpkin is baking. Bake until golden brown. Alternatively save them for next year! 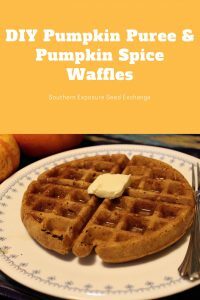 These waffles are a great breakfast or treat on a cold winter days and they’re an awesome way to cook with local, healthy ingredients. 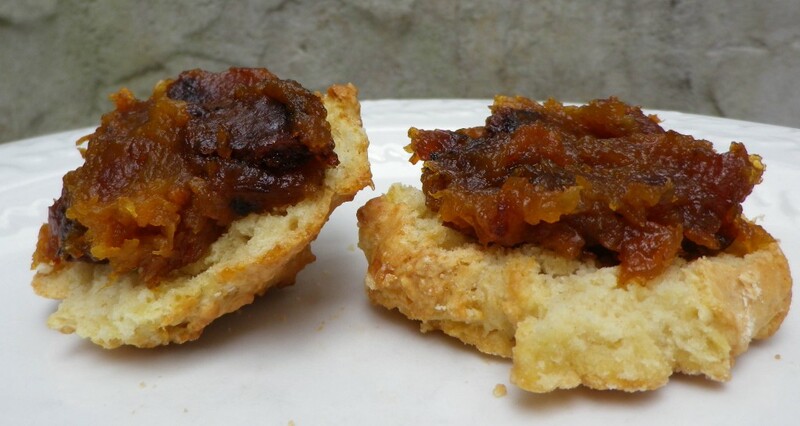 I bet you can get all the veggie haters in your life to eat some winter squash hidden in these little gems. Another great thing about these waffles is that the squash takes the place of the egg in the recipe so they’re great for people with allergies or those who are vegan. I promise you’ll love them even if you’re not! These waffles are that perfect mixture of crispy on the outside and soft and fluffy on the inside. First combine all dry ingredients in a mixing bowl then add the pumpkin or squash puree, vanilla extract, and vegetable oil. Next, slowly stir in the milk. If you’re puree was watery you may need less of the milk. The batter should be easy to pour but not thin. 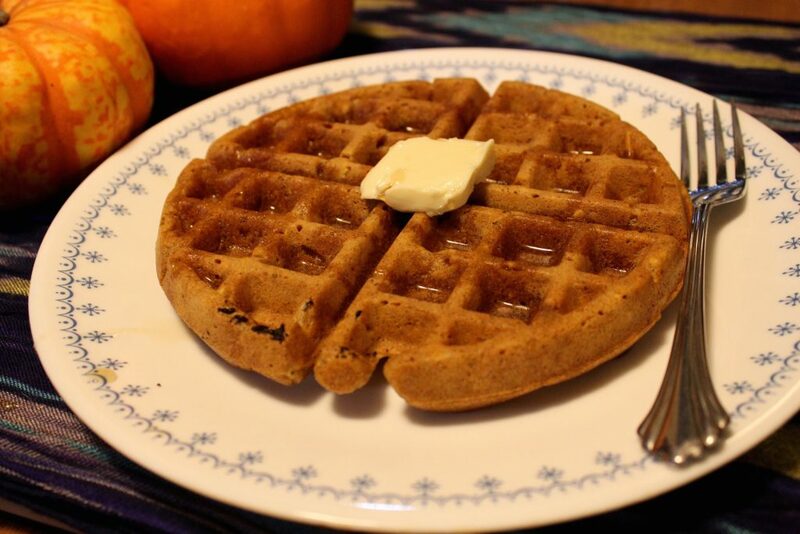 While you’re mixing up your batter you can pre-heat your waffle iron. A hot waffle iron makes better waffles that stick less. Cook your waffle using the normal directions for your waffle iron and enjoy! Then promise your family you’ll make a double batch next time when they keep coming back for more.